What will Midwest Generation bankruptcy mean for Illinois coal plants? 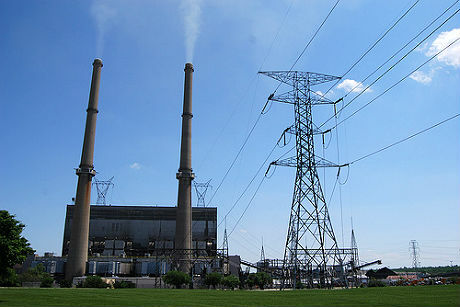 Midwest Generation’s four remaining Illinois coal plants will continue to operate as usual for the near future, even after parent company Edison Mission Energy’s filing for Chapter 11 bankruptcy on Monday. But local experts say the bankruptcy filing is the culmination of writing that has been on the wall for some time, and they expect some or all of the coal plants to close in coming years. Midwest Generation and Edison Mission Energy (EME) have been hit hard by cheap natural gas prices, falling energy demand, increased energy efficiency and mandates for expensive pollution controls that have all made the power from their aging coal-fired plants uncompetitive on the open market where they sell their electricity. Ultimately the bankruptcy court and owners that could take possession of Midwest Generation’s assets in the future could continue to run the coal plants – three in the Chicago area and one in Pekin in central Illinois. An EME press release and spokesman Douglas McFarlan’s comments to Midwest Energy News don’t indicate any plans to close the plants. But if the coal plants were unprofitable under Midwest Generation, there is no reason to expect they could turn a profit under new ownership, sources say, particularly as new sulfur dioxide controls are still needed at every plant, for a total cost of $628 million. A July filing by Midwest Generation indicated that financing from EME would be needed to make the pollution control upgrades; now such financing appears highly unlikely, if not impossible. Midwest Generation bought the coal plants formerly owned by the utility ComEd in the late 1990s after deregulation. The plants sell their energy through a market run by the PJM Interconnection, which covers all or parts of 13 states and the District of Columbia. EME reported assets of $5.13 billion versus liabilities of $5.1 billion, including pension fund obligations. EME bondholders are owed $3.7 billion worth of unsecured debt, and $1.2 billion in debt is attributable to EME subsidiaries including Midwest Generation and its Homer City, Pennsylvania plant. A statement from EME said its parent company Edison International will likely keep EME (and Midwest Generation) on its books through 2014 because of tax write-offs for the losses. After December 2014, the statement says, creditors will take ownership of the plants and they could continue operating under new ownership. Local experts – albeit ones working for a shift away from coal power – weren’t as optimistic. Greenpeace senior analyst Mike Johnson said he can’t picture a new owner being interested in buying the plants. “Exelon through [its subsidiary] ComEd divested in these plants more than a decade ago, they’re not going to want them again,” he said. “Ameren has been having its own financial difficulties, they can’t even afford to put pollution controls on their own plants as required. Dominion is shutting down or trying to sell all sorts of plants in the Midwest. With those sorts of headwinds I just don’t see how it makes sense” to continue running the Illinois coal plants. Some speculated that Chicago’s decision to adopt municipal aggregation – splitting with ComEd and buying its energy through another company, Integrys Energy Services, will make it even harder for Midwest Generation’s plants to run profitably in coming months. “If a lot of other municipalities decide to follow Chicago’s suit, it could put a bigger crimp in their finances,” Johnson said. In a Nov. 1 shareholder call, executives with Edison International, Edison Mission Energy’s parent company, assured investors they would not pour more resources into their flailing subsidiary. The Dec. 17 bankruptcy filing announcement came after a 30-day window EME was granted to try to work out a deal with creditors on $100 million interest it owed on bonds. The company owes $19.3 million to ComEd, the utility which delivers Midwest Generation’s energy to Chicago consumers. They are among 30 unsecured creditors, meaning they are behind secured creditors in the line to get paid money owed them, and they may never get it. The wind farms are not included in the bankruptcy filing. In August, Midwest Generation closed its Fisk and Crawford plants in Chicago, under an agreement with Mayor Rahm Emanuel and after facing a decade of pressure from national and local environmental and health groups. The relatively small, archaic plants – Fisk was built in 1903 – had become uneconomical considering energy markets and the need to install expensive pollution controls. Midwest Generation doesn’t actually own its plants in Joliet and Pekin, but runs them under a complicated sale-leaseback agreement with a consortium of investment companies. It owes $345 million in lease payments on these plants, which it may not be able to make considering the bankruptcy filing. Experts have for some time speculated Midwest Generation would close its Waukegan plant north of Chicago on the Lake Michigan shore. An Edison International presentation posted for its Nov. 1 shareholder call noted it was “less likely” money would be spent retrofitting the Waukegan plant, at a cost of $160 million by a 2014 deadline, or the Number 6 unit at the Joliet plant, which would cost $75 million. Midwest Generation also runs a plant in Romeoville, about 10 miles from the Joliet plant southwest of Chicago. The coal piles along the Chicago Sanitary & Ship Canal next to the Romeoville plant are much smaller than in years past, according to local residents, since the company stopped shipping coal on barges to Fisk and Crawford. Midwest Generation employs 845 people in Illinois, 539 of them members of the IBEW Local 15 union. Many or all would potentially lose their jobs if the plants close. Ellen Rendulich, director of the grassroots group Citizens Against Ruining the Environment, which has filed legal complaints against Midwest Generation, has lived less than a mile from the Romeoville plant for two decades. She worries about the air pollution from its stacks and dust from its towering piles of coal; she can often see curtains of black powder blowing off them. But she is also concerned about the impact on the local economy if the plant closes, and she hopes Midwest Generation pays to retrain workers for other jobs, or possibly hire them to remediate the site. She attended Edison International’s annual shareholder meeting in California in April, and said there was much talk about the company’s investments in renewable energy. Under the agreement with the city of Chicago, Midwest Generation has been involved in a non-binding community process around the future of the Chicago coal plant sites. Henderson said that process is “just a beginning,” but ideally a concept that will be replicated at the other Midwest Generation plants if they close. The ELPC and NRDC are both members of RE-AMP, which also publishes Midwest Energy News.